Protecting ourselves from a spray of sawdust, we watched with awe as a craftsman shaped a rough block of wood into a spinning top within minutes. Then he carefully but swiftly applied color using a piece of hardened vegetable dye. More than my daughter, my husband’s eyes were gleaming with wonder. 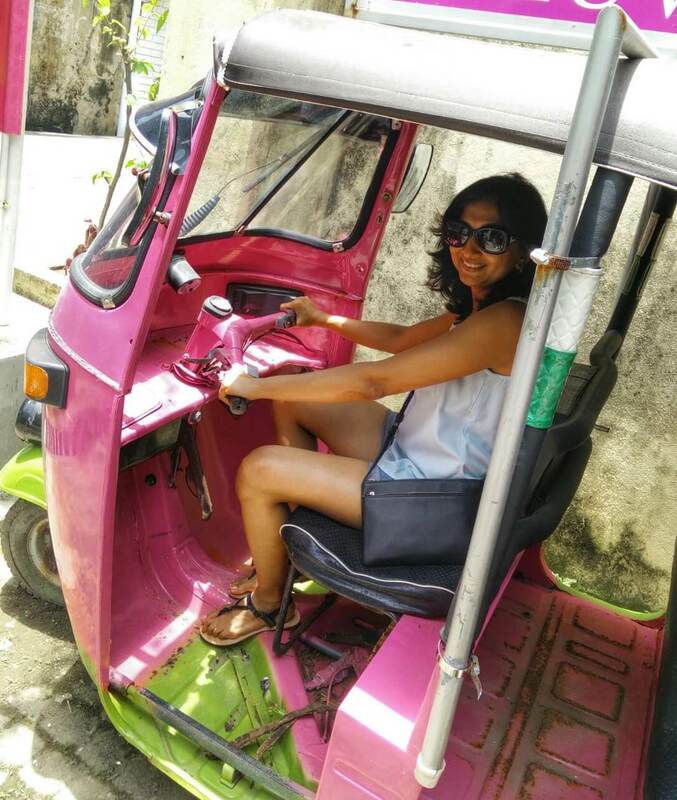 I wondered who was going to enjoy this visit to India’s famous toy town more! We identified the factory by a small board that was put up outside. Oblivious to people standing around and watching, craftspeople carry on their complex tasks with ease. Driving from Kabini to Bangalore, big signs on the highway with “Welcome to Channapatna” announce the arrival of the toy town. We turn off the highway into one of the by-lanes and stop at an old house that looked like a toy workshop. We walk in, asked around and soon enough the owner, Venkatesh appeared and was happy to take us through his little factory and show us his wares. His small set up employs 20 people. Ale-mara wood or ivory wood is the main raw material used to make a variety of toys and other objects. 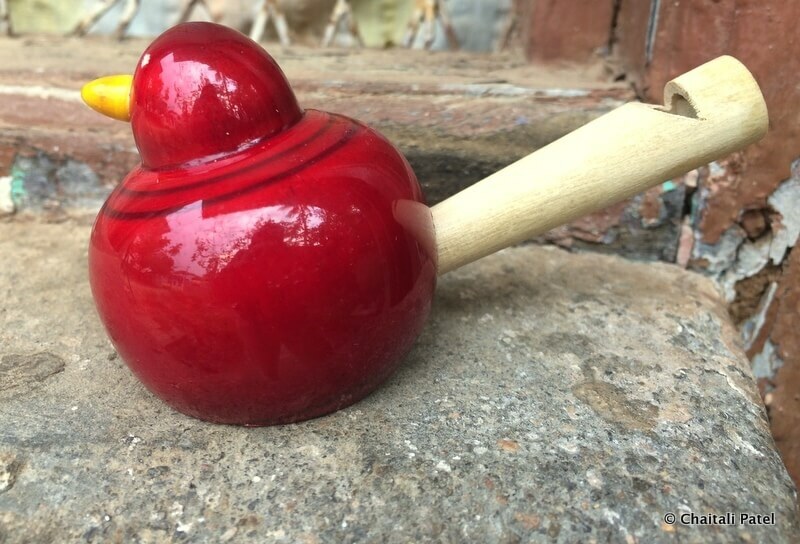 The most distinctive feature of Channapatna toys are the bright, rich colors used, which come from vegetable dyes. 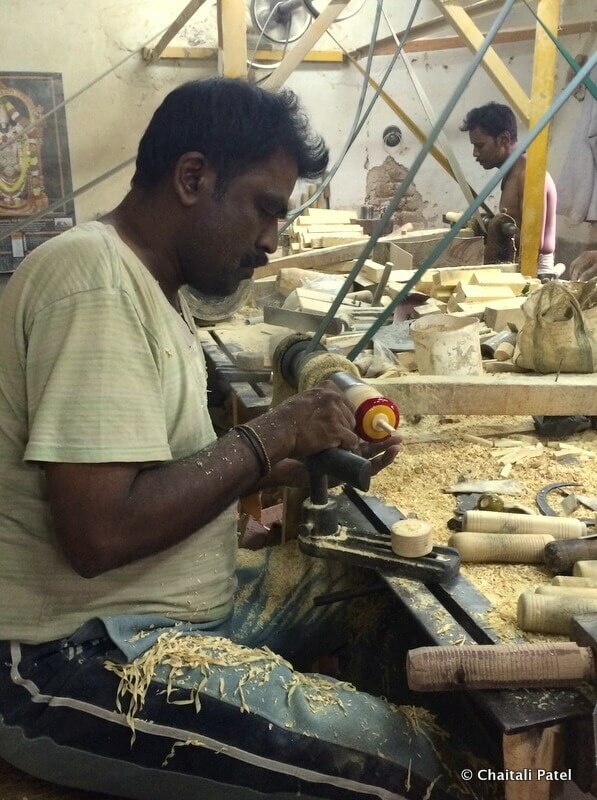 This 200-year old technique of making wooden toys is supposed to have started during the reign of Tipu Sultan. Today, there are nearly 300 small workshops and factories who specialize in this craft. The craftsmen come from families who have been trained in this art for generations. The resin that is used to add colour to the objects. A lathe or handheld turning machine is where the main work happens. 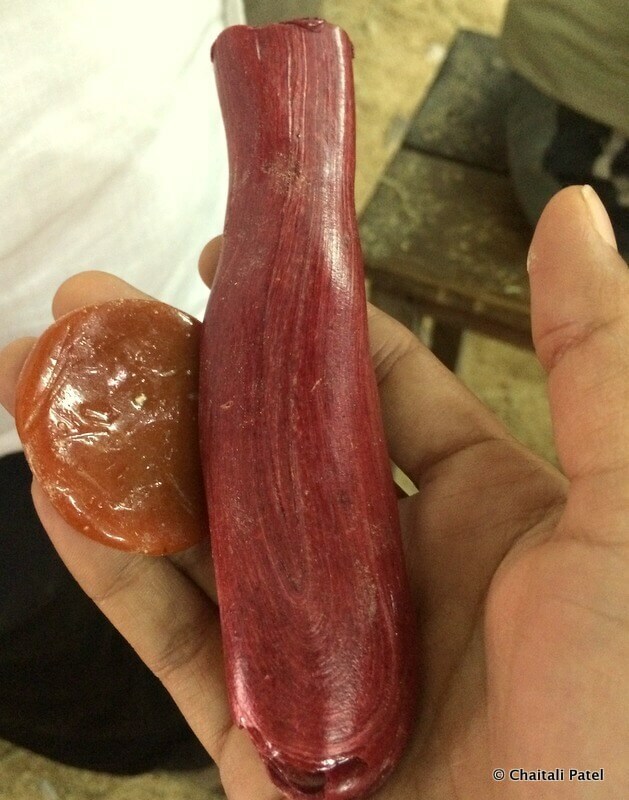 A rough block of wood is given shape on the lathe and colored or lacquered using frictional heat. The mirror like finish comes as the product is then buffed using leaves of Talegiri tree. 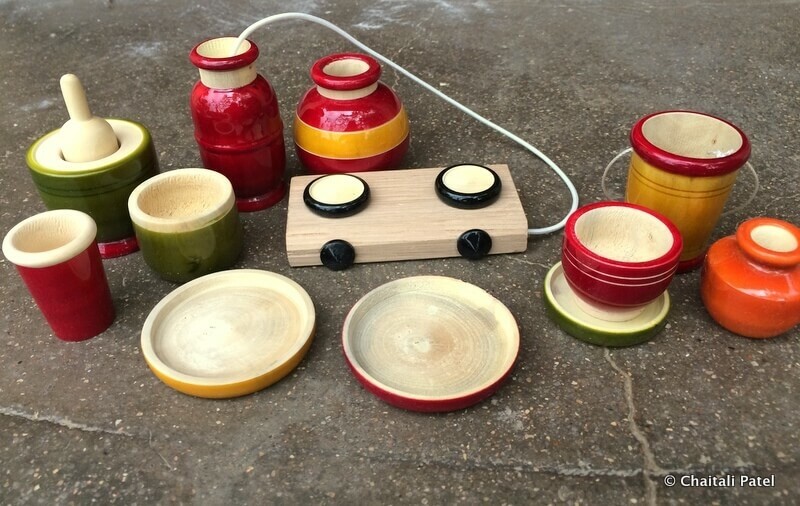 Made of wood and natural colors, Channapatna toys are particularly popular for those looking for non toxic toys for the children. But apart from toys, these units also turn out mind games, jewelry and home decor products. Each unit has their own specialization and their own unique designs. 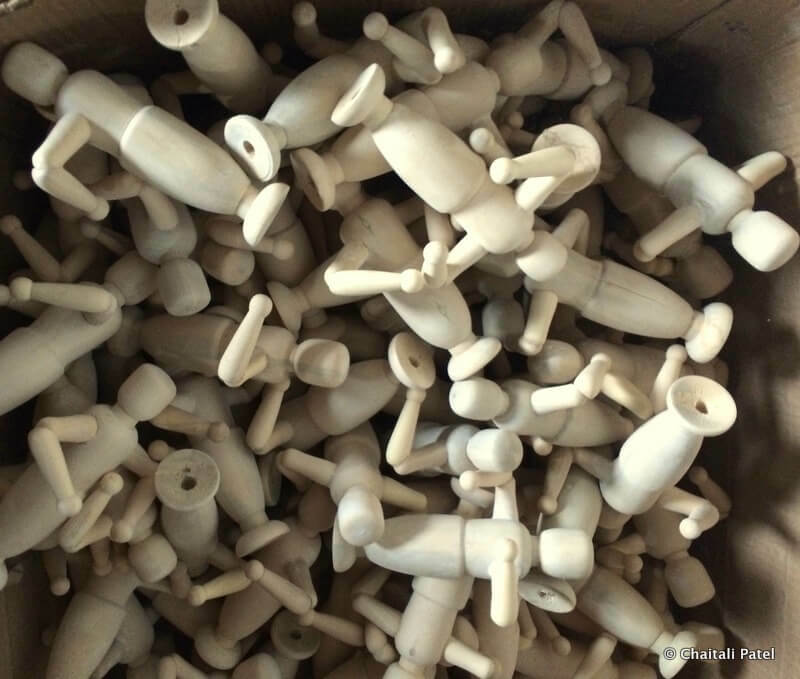 Wooden figures waiting to be painted. The unit that we visited had no products on display. There were piles of toys just lying around and we helped ourselves, picking up things and seeing what they were. On further prodding, Venkatesh kept digging out objects that they had made in the past. He was especially proud of a kitchen set that he had designed. The owners pride and joy – a kitchen set he designed. 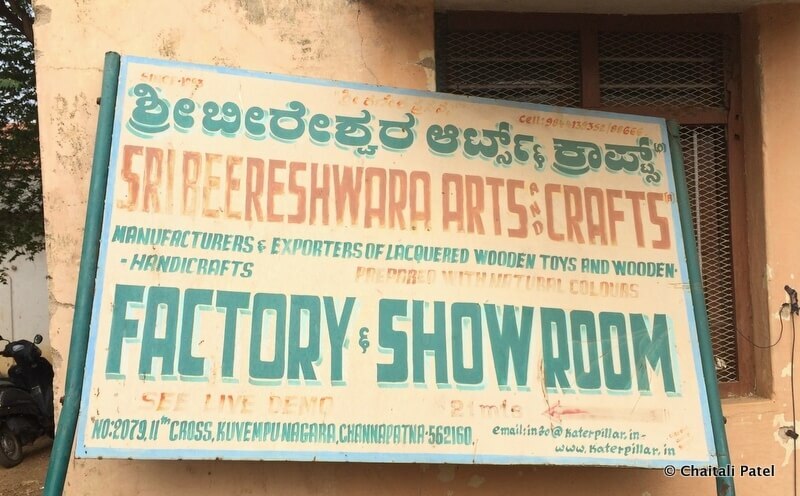 Companies like Titan, Microsoft amongst others patronize Channapatna, but perhaps the biggest boost came when Michelle Obama bought some Channapatna toys on her visit to the National Handicrafts and Handloom Museum in New Delhi in 2010. Handmade yet perfect in every way possible! 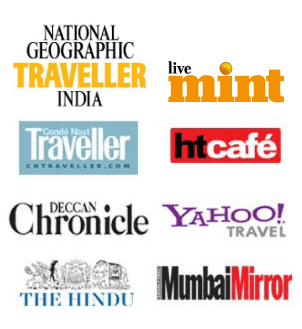 The toy city of India! A beautiful place and an equally beautiful post to describe it! I crossed it today while coming from Mysore to Bangalore but had no time to stop! Next time you should! But go with some time, that way you can visit a couple of factories!